Corrine (my oldest daughter) took pity on me and set up A Bountiful Kitchen. It has been a great little outlet for me. I love to cook. I love taking pictures of food. I love to discuss recipes through convo and emails I get from friends near and far. This past week, I made twonew blogger friends. My new friend, Robin, who lives back East, asked me about a recipe for cinnamon bread. I’ve had this basic white bread recipe for about 100 years. It’s one of those tried and true, old but good. I added some cinnamon sugar and passed the recipe on to Robin. Yesterday, while we were experiencing our 20th day of temperatures below 20 (or something like that)I mixed up a batch of Cinnamon Swirl Bread. There’s nothing like the smell of bread baking in a warm home when it’s cold outside. Nothing like it. Oh, the Sweet Cinnamon Butter. Let’s just say I could have eaten it alone, as an appetizer. Sprinkle yeast over warm water. Add 1 tablespoon sugar. Set aside for 10 minutes. Warm milk in small saucepan. Stir in shortening or butter, remaining 3 tablespoons sugar and salt.Cool to lukewarm. Stir dissolved yeast into milk mixture. Thoroughly mix in half of the flour. Add remaining flour, 1 cup at a time until dough is no longer sticky. Knead, until smooth and satiny. Place dough in an oiled bowl and cover with small towel. Place bowl in warm spot. Let rise until doubled in bulk (about 1 hour). Punch down and let rise again until doubled in bulk (about 30-60 minutes). Grease three 4 1/2 by 8 1/2 inch pans generously with butter. Divide dough into three pieces. Roll out into 3 rectangles, approximately 8x10 inches. Spread each rectangle with cinnamon sugar mixture (about 1/3 cup of sugar mixture per loaf). You should have about 1/2 cup of the sugar mixture left over to make the cinnamon butter. Roll each piece of dough starting at short end, tucking end under when placing in pan. Brush the loaves with a beaten egg (optional) and sprinkle with sugar. Let rise again until doubled (or about 30-45 minutes) . Remove from pans immediately, and sprinkle with additional sugar. Sweet Cinnamon Butter: Soften butter in microwave, or leave sitting out on counter while preparing dough. Mix butter and 1/2 cup cinnamon sugar mixture together in medium size bowl. Spoon into crock and serve at room temperature with bread. - *I like the texture of this bread when using bread flour instead of regular white flour. I prefer "Gold Medal Better for Bread Flour". Found in most grocery stores. If using a bread flour, you will only need about 8-9 cups of flour.-This bread is wonderful sliced thick, toasted or used for French toast the next day.-yes, this also makes awesome cinnamon rolls. That cinnamon butter looks so delicious. Cinnamon is definitely my favourite thing to have cooking in the oven. The smell lingers delightfully for hours! "Butter! Oh isn't butter divinity?!" 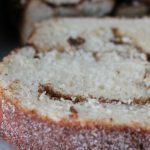 How serendipitous to find this beautiful cinnamon bread recipe today. I have been thinking of making cinnamon buns for weeks now, but this is so much easier and I love your great idea of making french toast from it. Your pictures stunning. I can almost count the grains of beautifulicious sugar. Thanks for sharing the recipe! I love to bake bread. Yours looks wonderful I've never thought of making cinnamon butter. What a great way to use up the leftover sugar. Thank you for the taste Si! It was delicious and my kids were in heaven! I'm not lying when I say.. most of my recipes are from you. What a great lady you are! Really, Si? 100 years? I was having my 5th child that year. I agree-I love the smell of cinnamon "baking" in the house. I lit a candle. How is it that no one in your family is fantastically fat?? (Rather quite the opposite!!) Haha, looks delish. Can't wait to make! So you know Si, I am constantly on here checking out your new recipes!! I love it and miss you all so much, thanks so much for keeping GOOD FOOD in our belly's and for posting your amazing recipes! Although the cold weather disappeared today, I think it was 75. don't hate me. oh sweet deliciousness. BOOKMARKED!! Can't wait to try this!!!! Thanks for posting this!! I am baking up three loaves RIGHT NOW. I decided one would be perfect for the family up the street who just had a new baby. My friend and I got together today for a baking day and made this bread. Oh, my goodness! Completely divine! The delicious butter melted into the warm bread and the sugar filling was hot and oozing out out of the bread. We were dying over every bite! Thanks for sharing this recipe! I Love cinnamon and you get a double dose with this bread. Yum. Looks divine. Putting it on my to-try list and I'll leave you the link when I do. Si, I came on here looking for a good dessert and I stopped at this and can think of nothing else. My family will love me if I can get it to turn out like yours. 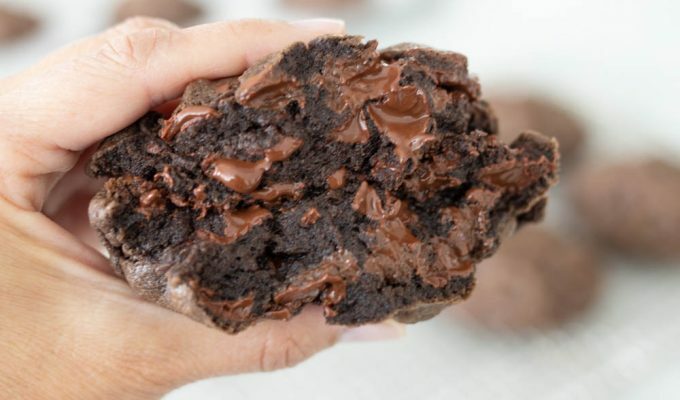 Oh my goodness this looks absolutely heavenly! I love cinnamon anything, and cannot wait to try this! Your pictures are amazing too! Made this and the scones last night. My new favorites!